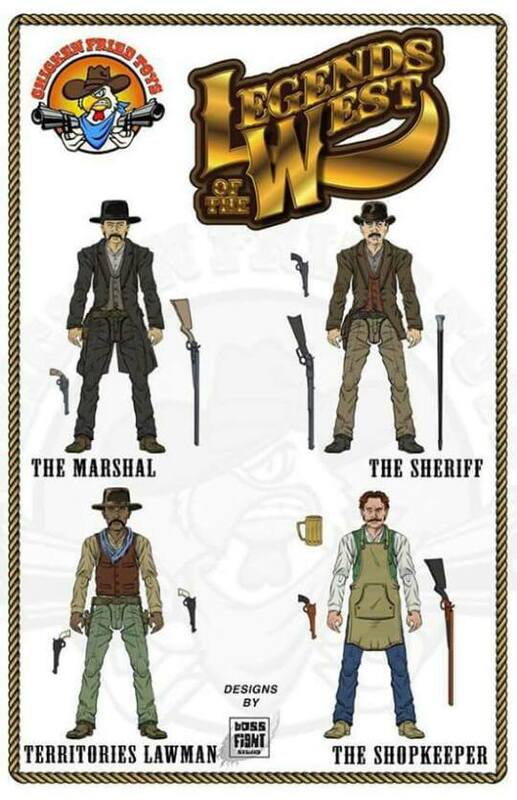 Joe Con 2016 concludes today but we’d be remiss if we didn’t talk about Legends of the West. 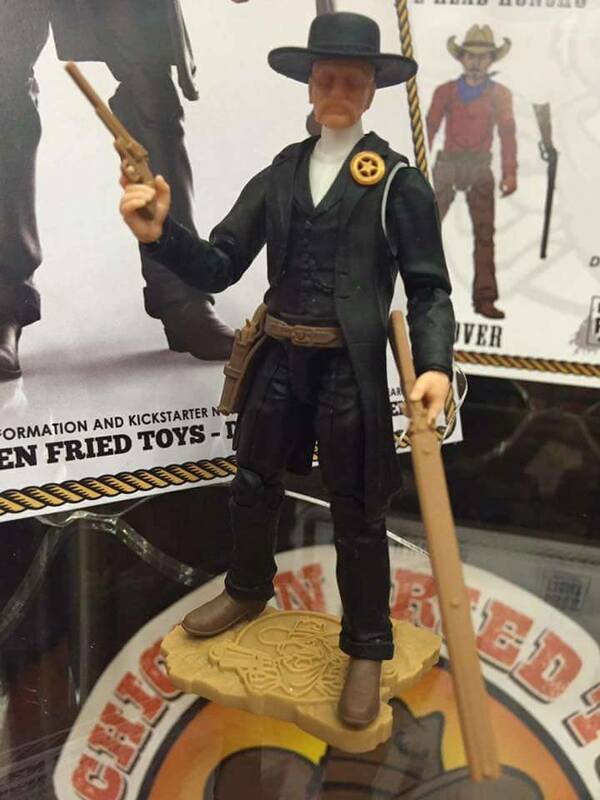 Earlier in the Armchair Coverage of Joe Con 2016, there was mention of the Broken Arrow Toys booth and how there were several lines being displayed there. 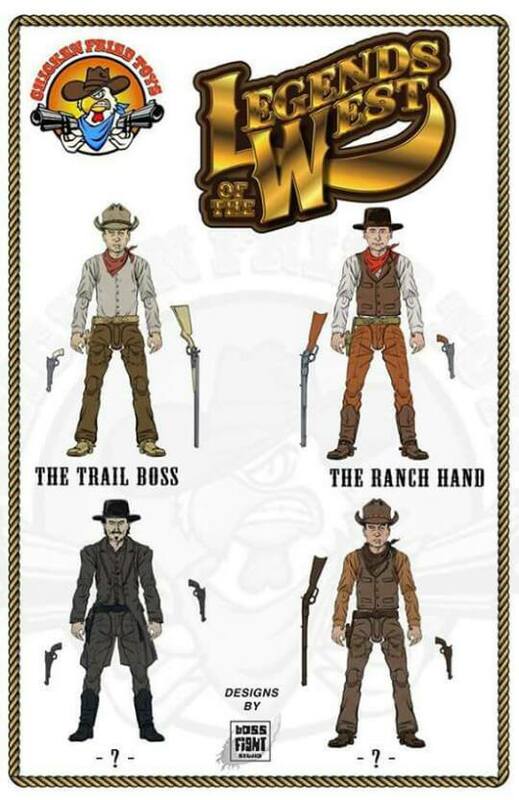 JBL’s already highlighted Spero Studios Animal Warriors of the Kingdom but now it’s time to acknowledge another more classic-themed line: Chicken Fried Toys’ Legends of the West! 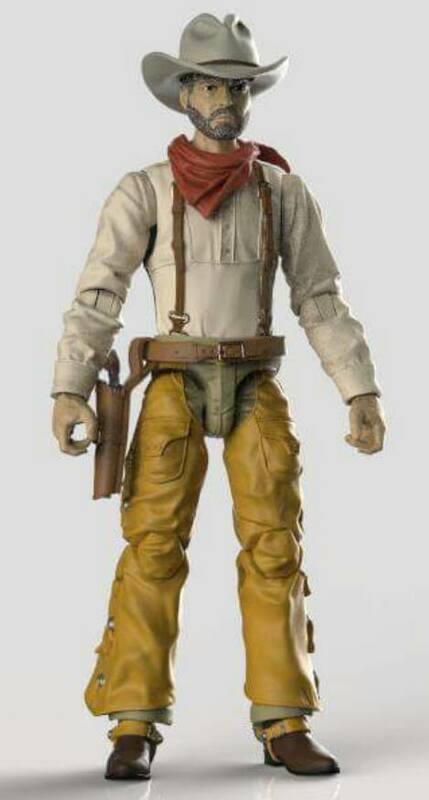 Imagine if you will a brand-new 1:18 scale series of Western-themed figures. Now, take those figures and add in incredible sculpting detail. Sound pretty good? Let’s take it a step further and give them modern-level articulation! Now, if that doesn’t make you want to saddle up and support the line I don’t know what will! There’s also the possibility of two others who, according to the initial artwork, seem to be a combination of parts from the other figures. 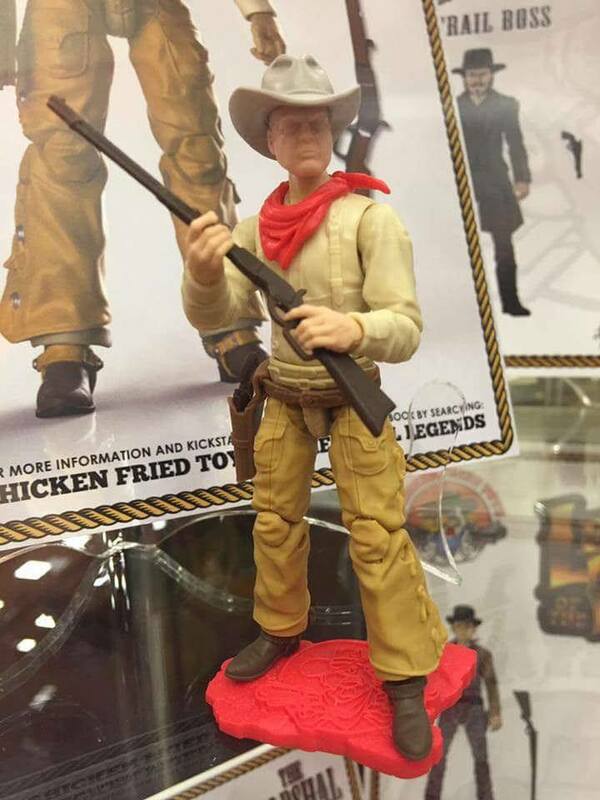 Each figure also appears to include at least two accessories (firearms) as well as a unique Chicked Fried Toys display base. Only two prototypes were shown at Joe Con 2016 but they were stunning! 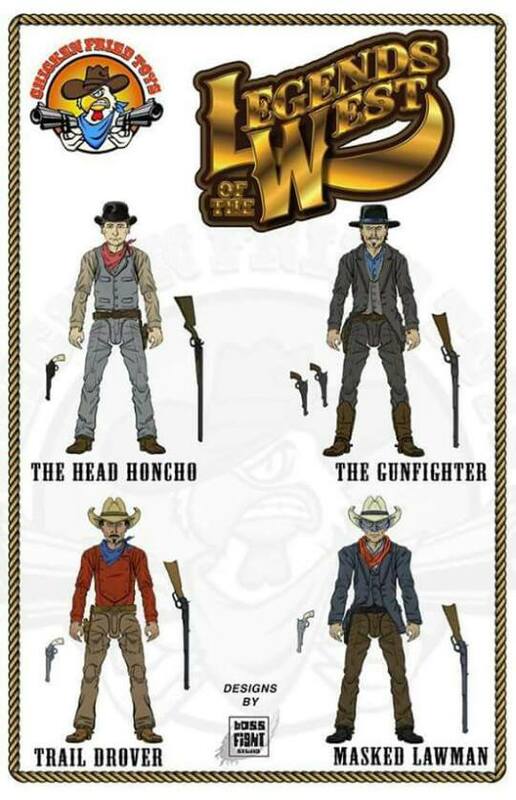 While the line won’t be using specific character likenesses (due to potential copyright infringement issues) the designs are all classic in their inspiration. (Maybe it’s because I’m listening to the score from Tombstone while typing this but I do detect hints of a certain moustached lawman who may or may not have portrayed by the man who once escaped from New York. Of course, any resemblance could be purely coincidental…) In fact he also just happens to resemble a notable lawman that was born in Monmouth, IL! 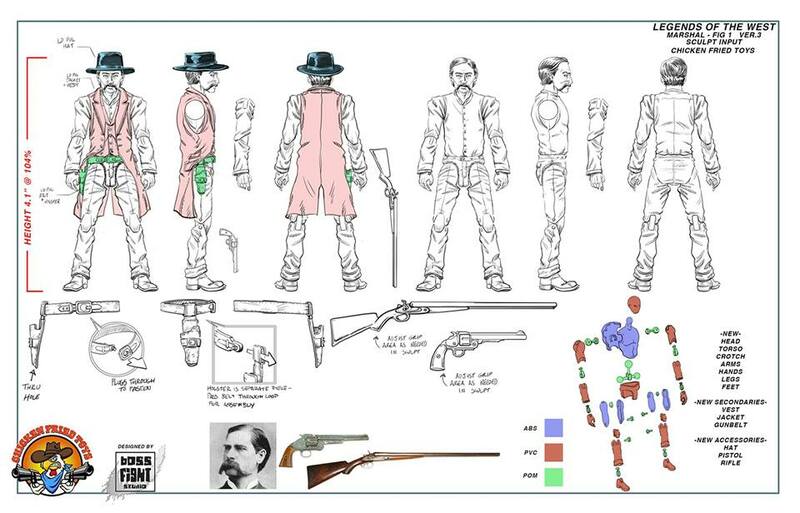 According to one of the minds behind the project, plans for series 2 include Native American figures, a stage coach, and even 1:18 poseable horses! Okay, color this 1:18 collector officially intrigued! The initial control designs are by the crew from Boss Fight Studio. 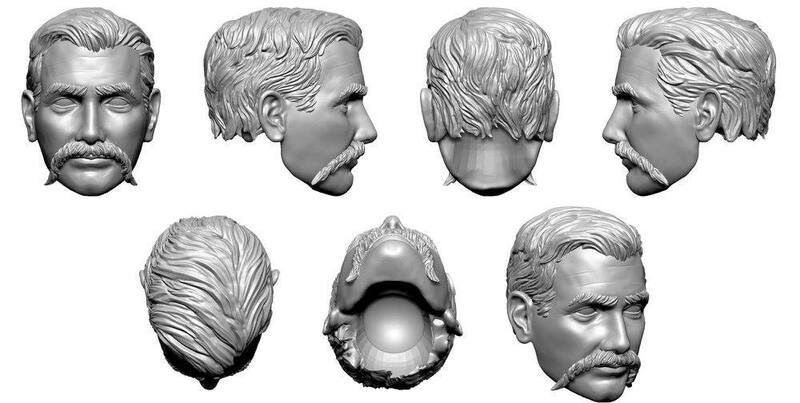 I’ve known one of the individuals behind the line for many years now and I can honestly say that, knowing the quality and care that he puts into his work, I’ll fully support this line when it goes to Kickstarter later this year. 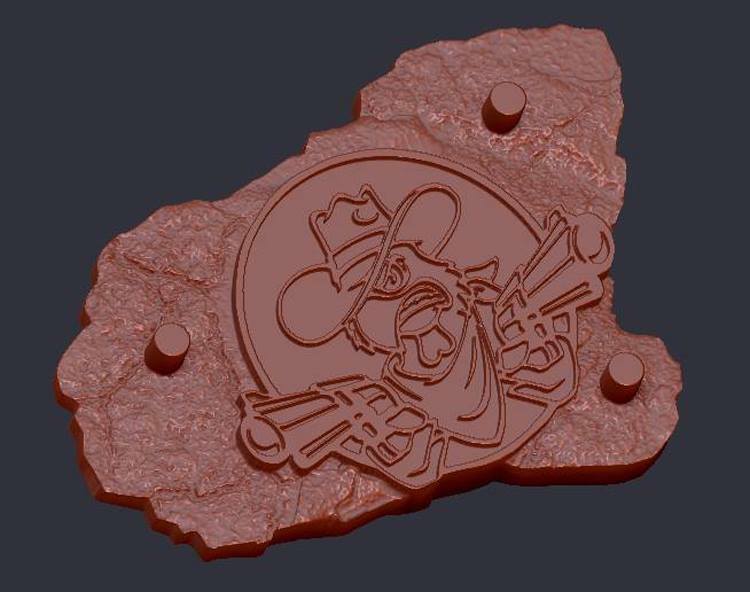 If you’re interested in following the latest news on the Legends of the West line, including seeing new product images as they’re released and staying abreast of the Kickstarter launch, drop a request to join the official Facebook group that has been set up by the founders of Chicken Fried Toys! 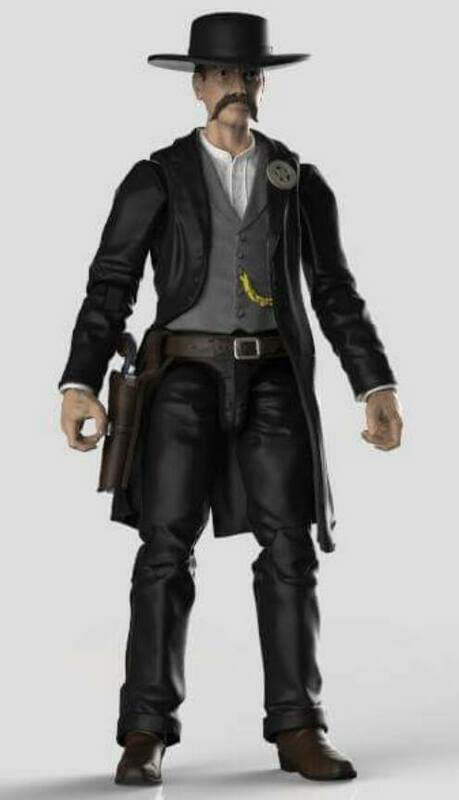 This entry was posted in Misc Geekdom, News and tagged 1:18 scale, Boss Fight Studio, Broken Arrow Toys, Chicken Fried Toys, Conventions, cowboy, Joe Con 2016, Legends of the West, Toys, western by Fred Meyer. Bookmark the permalink. Imagine if the Broken Arrow Toys booth had my order done from 2013 or had refunded my $166!! I could have bought like 8 kitted out marauders figures!! What a “swell” guy Alyosha is though, right?